We now offer Rent to Own for our standard and mini chicken coops in Colorado. Our rent-to-own plans provide convenient backyard storage solutions at a flexible cost. 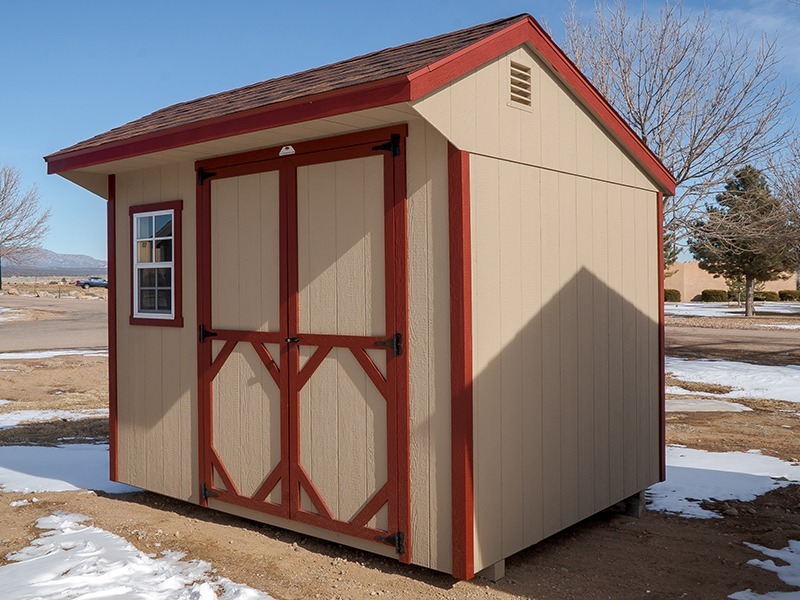 Just choose your storage building, pay an affordable up-front down payment, and start using your shed right away. After you make your consecutive monthly payments (either 24, 36, or 48 months), the building is yours. You can rent to own our most popular shed for around $120 a month! Similar price to renting an off-site storage unit, but located on your own property. There’s no credit check needed to qualify. Your month-to-month contract can be terminated at any time without a penalty. You can save money by paying off your shed early. Our Rent to Own program is available in most states – some restrictions apply. Our rent-to-own storage buildings are currently available in Colorado Springs, Denver, and all of our customizer/display locations. View our locations map to find the store closest to you, or design your own shed with our online customizer. * We only offer Rent to Own for our custom chicken coops in the state of Colorado. Rent to Own is not available for our OverEZ Chicken Coops. NO CREDIT CHECK REQUIRED! Click below to fill out our Rent to Own application! Want to know how low your payment could be? Try our payment calculator. Just specify your Shed or Garage estimated cost in the top box. You’ll see the estimated payments for a Rent to Own Shed for 2 years (24 months), 3 years (36 months) or 4 years (48 months). Any questions, just give us a call or send us an email. If you’d rather see if you qualify for a variety of financing options, click here to see our other programs available. These options do require a credit check and therefore you will need to supply your financial information to see if you qualify. Please note – this calculator does not include tax. When taxes are included, your monthly price will change accordingly. Want to get your own Rent to Own Shed from The Shed Yard? To get started, we need two months payment as a down payment on your Shed – and your first payment isn’t due for 2 MONTHS after you receive your building!